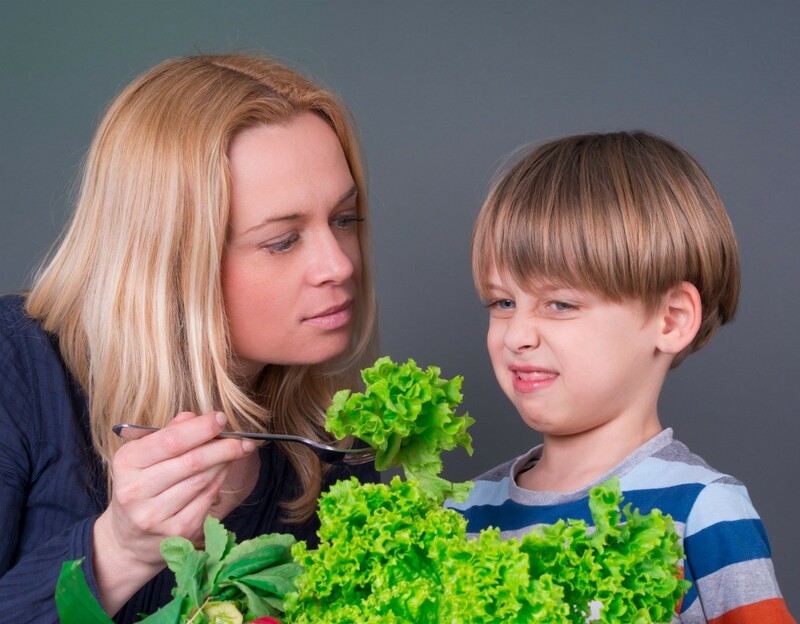 Young children can often be picky about certain foods. However, eating a healthy diet is an important lesson to learn even if it means a few tears are shed. This is a guide about 7 year old won't eat healthy food. I have a 7 year old son that will not eat any healthy food. He does not eat any kinds of meats or seafood, no veggies or fruits. The only thing he likes to eat is dry oatmeal, granola, and chips. He does not like mushy foods or any kind of condiments. I just wanted to know if there is any kind of supplement that we could buy for him at the nutrition store? Thanks. My daughter is the same age, and she tries this. She doesn't sound as bad as your son, but she tries. I agree with the others. I don't care if she thinks I'm being mean. She eats this, or nothing. We had a State of the Union discussion over the weekend about eating more fruits and vegetables. It's going to be a struggle, but I can deal with it. Best of luck! I agree with the first three posts. Seven is too old to be this picky. If it's not being caused by a medical problem, get a rein on the situation while you can, pronto! I have three cousins now who, at ages 58, 60, 65, require that my aunt prepare four versions of the same meal, each catering to their likes/dislikes, as well as her own! I was never fussy, but honestly never had a chance to refuse or request certain foods. My mother let us all know at early ages that if we did not want what she made, we could make something ourselves, or go without. As she said, 1) She was not a restaurant, and 2) she made what she could afford. A lot of that included fresh foods from our own gardens. I was the only child two years of age, even among my older cousins, that readily ate things like liver, onions, squash, broccoli, cauliflower, brussels sprouts, spinach, etc. without complaint. By the time I was starting school I loved them all. There are cookbooks that show how to make food look more appealing to children and that are still appealing to other family members. Do not make a meals for the rest of your family and one separate for your son. It reinforces that all he has to do is refuse to eat what you fix for the rest of your family. He will pick up on that and exploit you. Children are not stupid and if he thinks that he can get you to make separate meals at his beck and call then he will likely do just that. Speaking from experience, he will come around when he realizes that you will not cater to him. It is hard because as parents we want to please our children but, there is a line in which you have to draw as to what you will allow and not allow. He is going to expect you to do it unless you stand your ground. My daughter figured it out when I refused to make separate meals just for her. As a child myself, my parents made me and my sisters take at least three regular bites of the things we did not like before we could leave the table. If it got cold then that was just too bad; we could not get up from the table until we took our three bites. We learned quickly that if we did it when the meal was still warm it was much easier going down. He may think that he does not like it but by making him take the three bites he might discover that it is not so bad and will encourage him to try other foods. Some he will like and some he won't. It is imperative that if he does not clean his plate then that he will not get dessert and/or a snack later when he gets hungry. You need to inform him that he will get nothing but water until the next meal prepared when he tries to get you to give in. It is better for him to understand consequences now than later in life. You need to tell him, "if you don't eat the meals I prepared for the family then you will just have to go without until the next meal". Also reinforce that the only thing he will be allowed to drink is water; no soft drinks, Koolaid, milk or etc until next meal. Only water! A few days of this he will come around and eat the meals you make because he will be too hungry not to. It may sound cruel but look at it this way, schools do not cater to children so why should parents. He will continue to do this as long as you allow him to. If nothing else it is worth a try. I don't mean to be rude, but you better get a handle on this situation fast or your son will be a real problem child when he grows bigger and stronger. You will have to start setting standards of what foods he should eat for his health. Set the plate in front of him, and when he gets hungry he will eat. Don't give into his whims and give him what he likes. My son tried pulling that crap when he was young. I set the food in front of him and said either you eat it or go to bed hungry.